Home security systems used to require professional installers to string wires throughout your home, but no more. Several consumer electronics companies have launched new "smart" security systems. 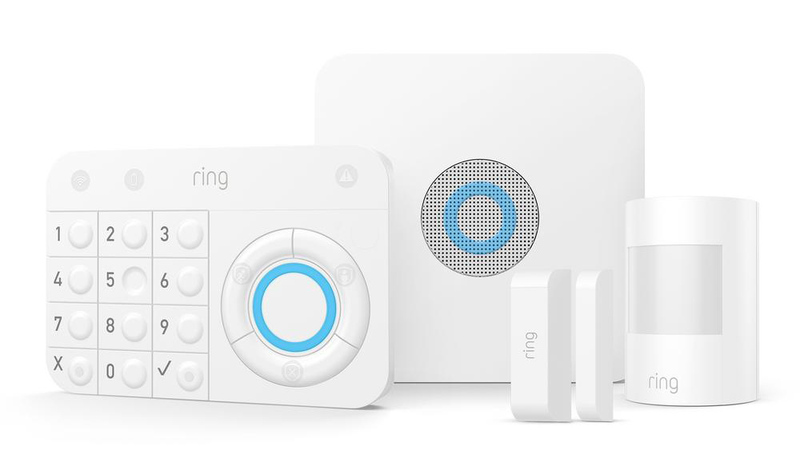 Ring announced its security platform last year, but the launch ran into legal issues. Now, it's finally available for pre-order with an expected ship date of July 4th. Ring announced the system as Ring Protect, but now it's going with Ring Alarm instead. That's a bit on the nose, don't you think? At any rate, the $199 starter kit is available for pre-order today on Ring's site, Amazon, Best Buy, and more. The kit uses Z-wave technology to keep the base station connected wirelessly to the included keypad, contact sensor, and motion sensor. There's also a range extender in the box. If you want more sensors, those are also available for pre-order. Ring is looking to stress the value of its system. It doesn't seem as fancy as, for example, Nest Protect with its all-in-one sensors and NFC tags. However, even with the recent Nest price drop, the Ring Alarm is half the price. The add-on sensors are cheaper, too. Ring says its professional monitoring and LTE backup plan is just $10 per month, and that includes unlimited video storage on all Ring cameras and 10% off future Ring device purchases.